It's probably a good thing that I didn't know how to crochet when my kids were babies because I would have made all kinds of cute and crazy outfits for them. But just because I don't have babies anymore doesn't mean I don't enjoy making things for babies. Fall is one of my favorites times of the year. 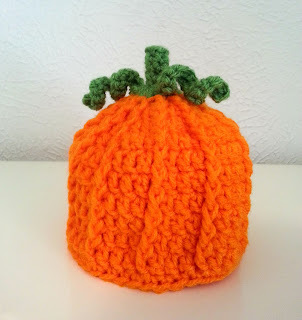 This pumpkin hat and matching diaper cover would look nothing short of adorable on any baby! 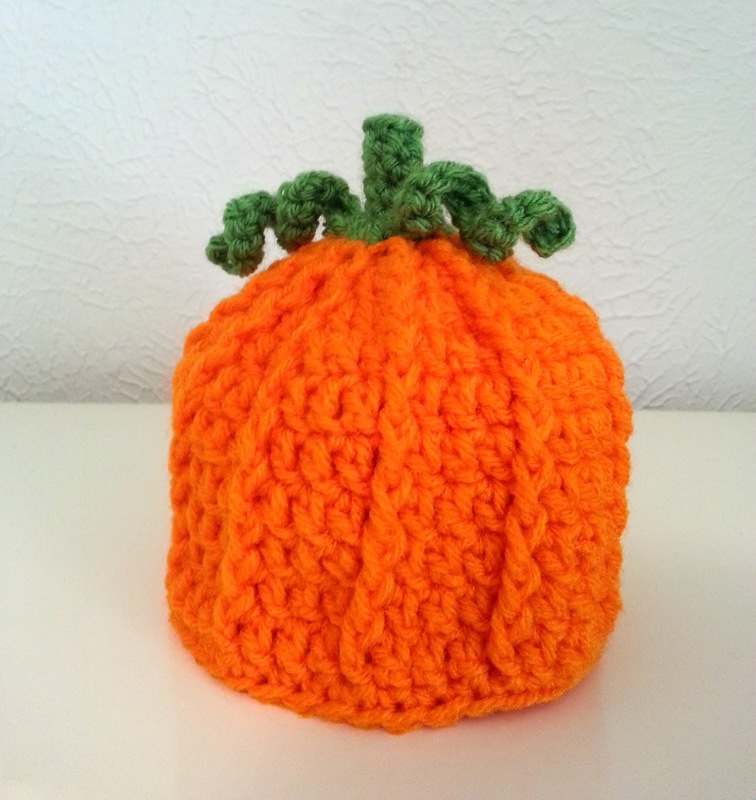 This hat will fit most newborns, but the diaper cover will fit most babies up to 9 months. When it's hot and humid outside, it feels like the wrong time of year to crochet Fall and Winter items, but it's something that I have to start on as I'm gearing up for craft fairs. It's been awhile since I've shared one of my patterns, but with vacations and my kids' busy schedules, I haven't been home very much lately. But now I'm back! And I'm sharing one of the many things I'm working on for some of the fairs I'll be doing. Boot cuffs are a fun fashion accessory and I've been on a Santa kick so I figured, why not make Santa boot cuffs! 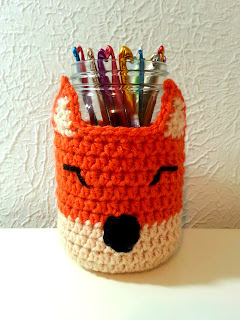 They are super simple to make and really don't take all that long. Most kids I know like pizza, but my daughter LOVES pizza! Last year her and her brother were talking about what they wanted as their first cars. My daughter wanted a car that she could paint to look like a pepperoni pizza. That conversation started a barrage of pizza related gifts - bracelets, pillows, etc. 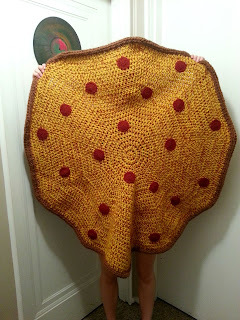 Earlier this year I decided to use up some of my rather large stash of yarn to surprise her with a pizza blanket. I didn't want to make her something that looked like a slice, I wanted to go big and make a whole pie. And believe me, this blanket is big! My daughter's blanket is just under 4 feet wide. That picture to the left is her holding her pizza. For reference, she is a little over 5 feet tall. 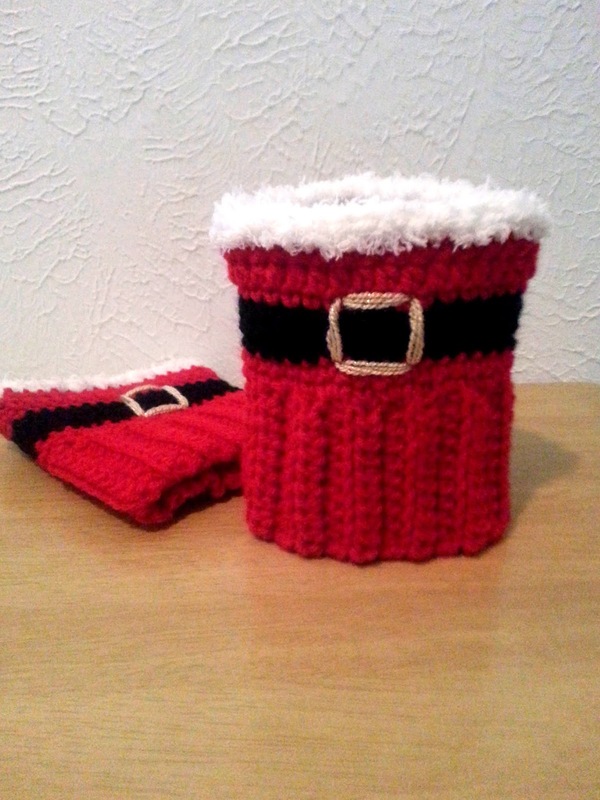 The pattern below is what I used to make it this size, but you could easily make it bigger or smaller. Spring is finally in the air! Hopefully this warmer weather is here to stay. The sunny days and hearing the birds chirping in the morning has been getting me in the mood for Easter. My kids think my love for decorating is silly, but don't you worry. When they're grown with their own houses to decorate, I will be sure to remind them of how they laughed at me. I think these coasters ended up just adorable! 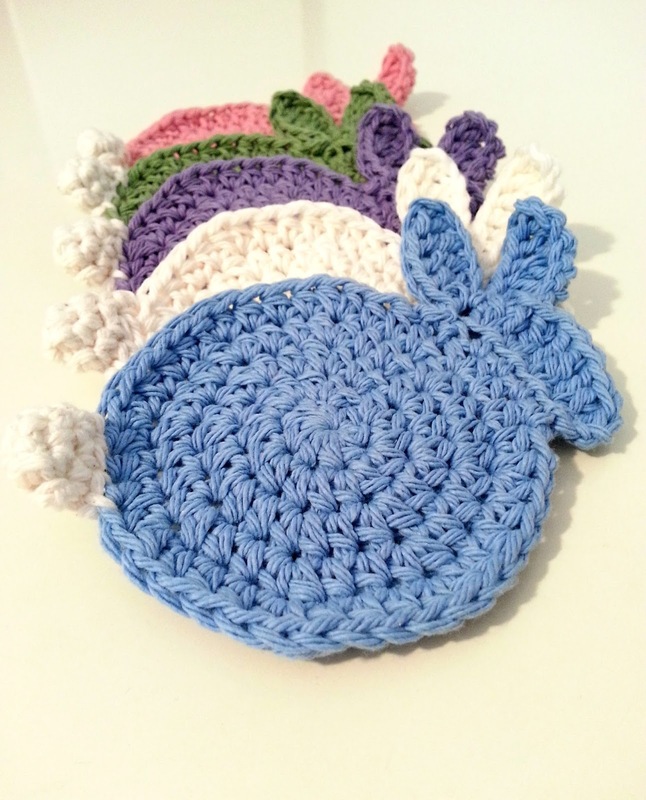 So the least I can do is share them with other bunny and coaster addicts like me.